I'm a fairly large guy and I could not shower and that shower. I could stand up in there that was it. There was no shampoo or coffee. Last time I slept like a baby. This time not. Perhaps the mattress. The shower. 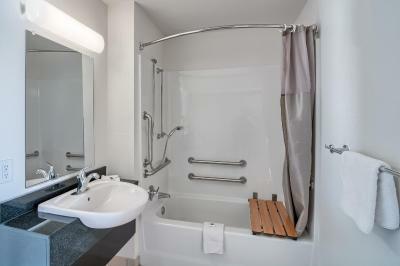 The bathroom was the cleanest area of the room. I liked the front staff. They were friendly and helpful. All the basics were covered very adequately at an extremely modest price. Convience as far as location, we traveled down to Utah and surrounding areas. Centrally located. 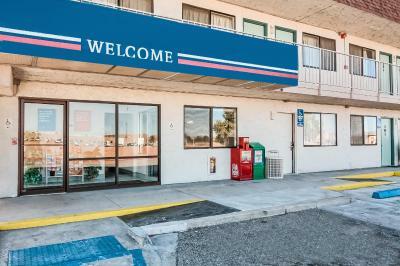 Motel 6 Grand Junction This rating is a reflection of how the property compares to the industry standard when it comes to price, facilities and services available. It's based on a self-evaluation by the property. Use this rating to help choose your stay! 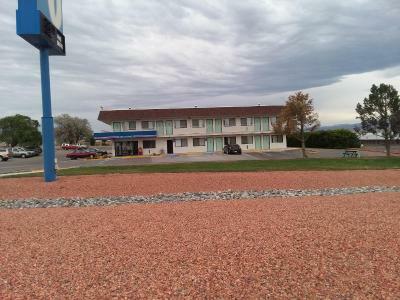 A few minutes from Grand Junction Regional Airport and close to local attractions, including the Carlson Vineyards, this Grand Junction, Colorado motel features an outdoor swimming pool. 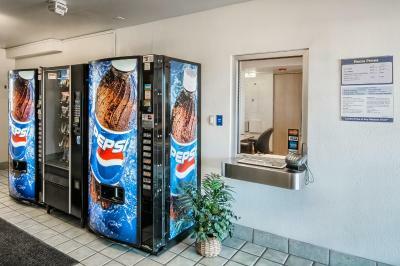 The Motel 6 Grand Junction offers a variety of thought on-site amenities, including wireless internet access and free coffee service. 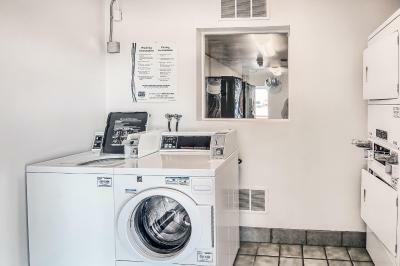 The pet-friendly motel also provides on-site laundry facilities. 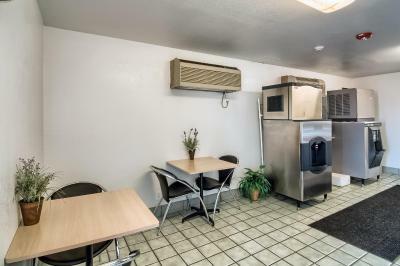 Local attractions, including the Dinosaur Junction Museum and the Colorado National Monument can be found a short drive from the Grand Junction Motel 6. A variety of shopping centers and restaurants are also nearby. 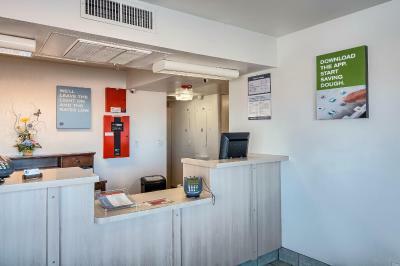 When would you like to stay at Motel 6 Grand Junction? This quadruple room has a cable TV. 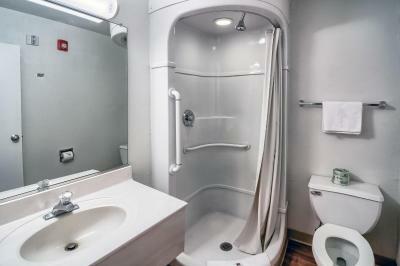 This quadruple room features a microwave. 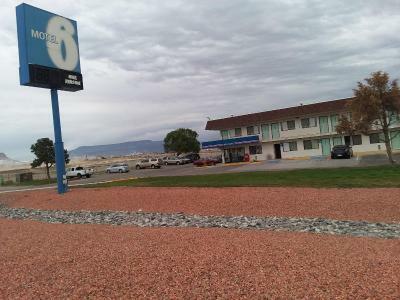 Welcome to Motel 6 Grand Junction, Colorado. Enjoy your gateway to Colorado's Wine Country, the ultimate outdoor destination. Clean comfortable rooms, with free morning coffee, and WiFi available in all guest rooms for a fee per 24 hours. 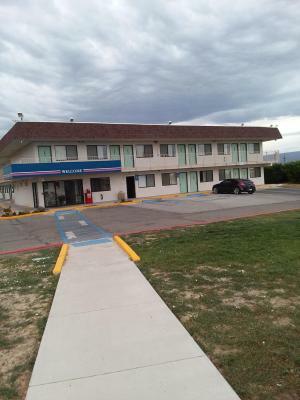 House Rules Motel 6 Grand Junction takes special requests – add in the next step! One older child or adult is charged USD 6 per person per night when using existing beds. 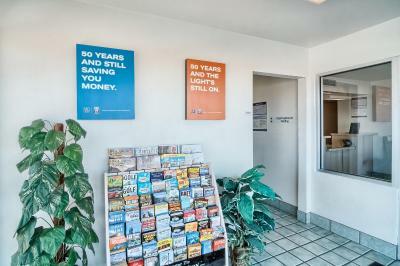 Motel 6 Grand Junction accepts these cards and reserves the right to temporarily hold an amount prior to arrival. The constant notice from an adjoining room to mine. The floor may have been swept at some point but not that day, it was dusty and visibly unclean. The top bedding was stained with what looked like blood and who knows what else! Luckily the sheets appeared clean. The air conditioning wasn't cool at all. The beds were very uncomfortable. Overall it was dirty and uncomfortable. Also we reserved a queen only to find out at check-in a short time later there were only two double beds available. My emailed confirmation even says queen-nonsmoking. 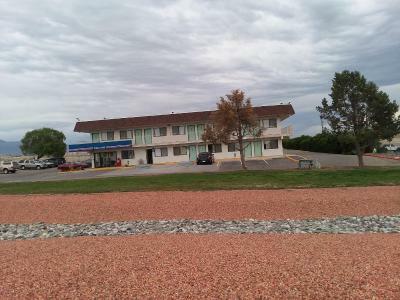 The only reason we chose this motel for was the value since it was just going to be a quick overnight stay but for the $87.99 + taxes it was certainly not worth it. It was more like a $29.99 room- if that! I would never recommend this place or even consider staying here again. I'd rather sleep in my car and shower at a truck stop!